Do you know when you should send a text versus when you should pick up the phone and call? This question popped into my mind during a date with my wife. She told me she learned this difference from me, and it got me thinking about the reasons why. When I speak to people, I talk about switching costs. The average person loses about a fourth of their work day to switching costs—interruptions that lead to lost focus and time. This adds up to about a full work week wasted every year! Texting is one of these interruptions. My guideline for texting versus calling is if the message is informational or conversational. Texting is great for relaying quick information such as, “I’ll be there in five minutes.” However, if the messaging goes past two exchanges, then it has become conversational. This is when you should pick up the phone, which is almost always quicker and stops the random interruptions. I’d like to know what your guideline would be for texting or calling. Share in the comments below! Thank you for watching. 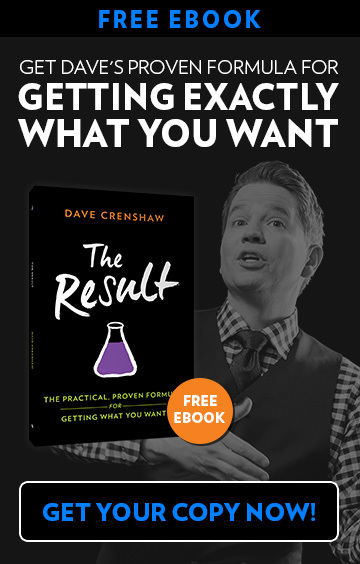 If you’d like to see me in action as a speaker, please visit DaveCrenshaw.com/Speaker and watch videos of past events. Tired of those 12-hour workdays? What if there was a simple formula to double your productivity by working fewer hours? 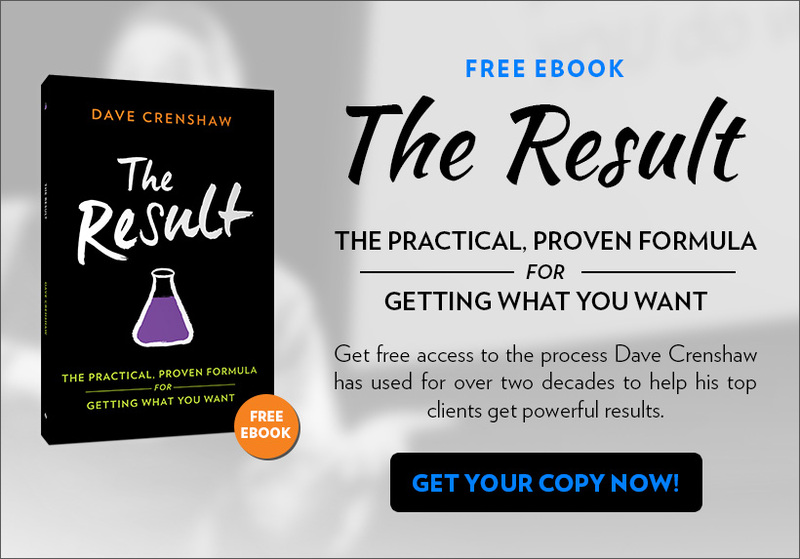 Find freedom with a free copy of Dave’s new book, The Result: A Practical, Proven Formula for Getting What You Want.